This landmark book offers a truly integrated perspective for understanding the formation of Jewish and Palestinian Arab identities and relations in Palestine before 1948. 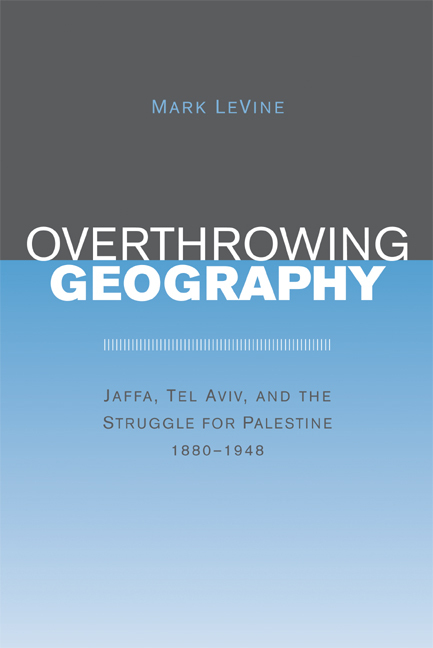 Beginning with the late Ottoman period Mark LeVine explores the evolving history and geography of two cities: Jaffa, one of the oldest ports in the world, and Tel Aviv, which was born alongside Jaffa and by 1948 had annexed it as well as its surrounding Arab villages. Drawing from a wealth of untapped primary sources, including Ottoman records, Jaffa Shari'a court documents, town planning records, oral histories, and numerous Zionist and European archival sources, LeVine challenges nationalist historiographies of Jaffa and Tel Aviv, revealing the manifold interactions of the Jewish and Palestinian Arab communities that lived there. At the center of the book is a discussion of how Tel Aviv's self-definition as the epitome of modernity affected its and Jaffa's development and Jaffa's own modern pretenses as well. As he unravels this dynamic, LeVine provides new insights into how popular cultures and public spheres evolved in this intersection of colonial, modern, and urban space. He concludes with a provocative discussion of how these discourses affected the development of today's unified city of Tel Aviv–Yafo and, through it, Israeli and Palestinian identities within in and outside historical Palestine. 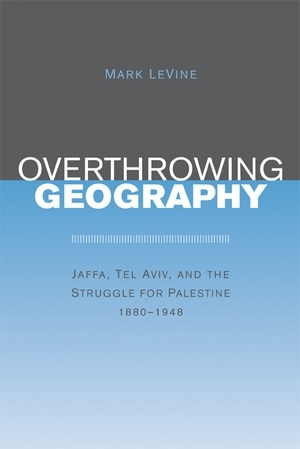 Mark LeVine is Assistant Professor of Modern Middle Eastern History, Culture, and Islamic Studies at the University of California, Irvine. He is the author of the forthcoming book Why They Don't Hate Us: Islam and the World in the Age of Globalizaiton (2004), and co-editor of Twilight of Empire: Responses to Occupation (2003) and Religion, Social Practice and Contested Hegemonies: Reconstructing the Public Sphere in Muslim Majority Societies.